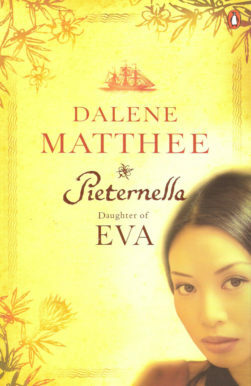 Dalena (Dalene) Matthee (née Scott) was born in Riversdale in the Southern Cape on 13 October 1938 to Danie Scott (a direct descendant of Sir Walter Scott) and his wife Hester. 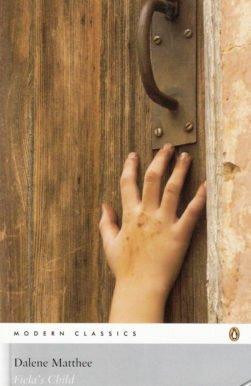 Her father was a builder and her mother a housewife. Dalene was the middle child in a family of five children. She attended Langenhoven High School in Riversdale where she was often praised for her outstanding essays. When Dalene was 18, she married Larius Matthee, a bank clerk working at Standard Bank, in Riversdale. Shortly afterwards, they moved to Oudtshoorn. Dalene enrolled at Van Zyl’s Music School for further training in music. Their first daughter, Amanda, was born two years later (1959). Eighteen months later (1961), a second daughter, Toni, followed. 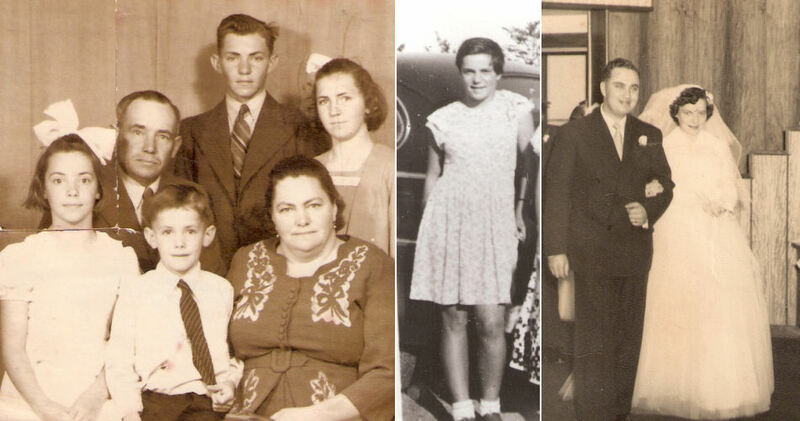 The Matthee family relocated to Darling near Cape Town and three years later (1964) a third daughter, Hilary, was born. While living in Darling, Dalene started to write children’s stories for the SABC’s children’s radio programme Siembamba to supplement the family’s income. Before submitting a story to Siembamba, she always read it to her children first. If they listened to the story to the very end, she knew it would be accepted. If they started to fidget with the blanket’s edges, she knew she would have to rewrite the story. She also started to play golf during this time and even won a women’s golf tournament in Rondebosch, Cape Town. The Matthee family relocated to Graaff-Reinet in 1967. Dalene accepted a half-day position as curator of the Hester Rupert Art Museum and joined Dr Anton Rupert’s restoration team. One of the projects she was involved with was the restoration of Stretch’s Court. She also started to write short stories for popular Afrikaans magazines like Die Huisgenoot and Sarie, always saying that she “would never write a novel as she did not know where to find enough information for a whole book”. She achieved her licentiate in piano under Sister Felix at the Holy Cross Convent. Her only children’s book, Die Twaalfuur-Stokkie (The Twelve O’ Clock Stick), was published during this time. The Matthee family relocated to Uniondale in the Long Kloof, Southern Cape, in 1971 where Larius was appointed bank manager of the local branch of Standard Bank. Dalene applied the experience she had gained as a member of Dr Rupert’s restoration team to restore two historic constructions in Uniondale: the water mill and an old fort from the Boer War. In 1977, Larius started to experience health setbacks and decided to take early retirement. In 1978, the family moved to Hartenbos near Mossel Bay in the Southern Cape. 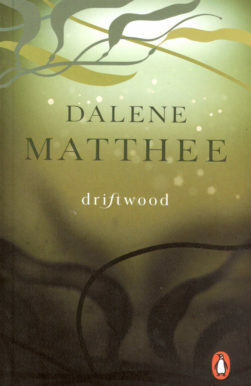 During this period, Dalene published various short stories in magazines. Some of them were compiled in the book Om ‘n man te koop, which was published after her death. 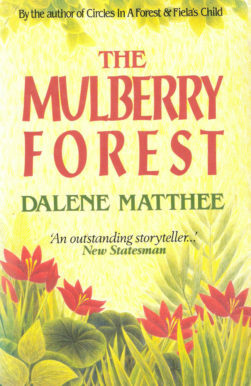 The family’s relocation to Hartenbos marked a turning point in Dalene’s writing career because this is where she started to work on her first forest novel. Towards the end of 1978, she went on a three-day backpacking trip in the Knysna Forest with her husband Larius, daughter Amanda, her brother Hardy and sister-in-law Mineé. “Reaching the overnight hut at Millwood on the Outeniqua hiking trail, she started to ask questions about the alien oak trees in the middle of an indigenous forest. 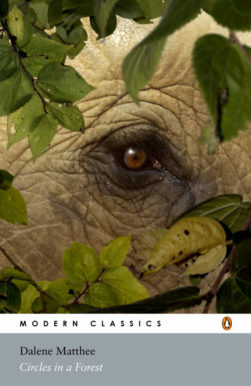 Once back home, she went to the museum in Knysna to find out more about the origin of the oak trees. To cut a long story short: She stumbled upon a gold mine of information which eventually formed the underpinning of her four “Forest books”. She stopped playing the piano the day she started to write Kringe in ‘n bos (Circles in a Forest). Only after three months did her husband realise that she had swopped her piano for a pen. Dalene’s husband Larius died from cancer in 2000. 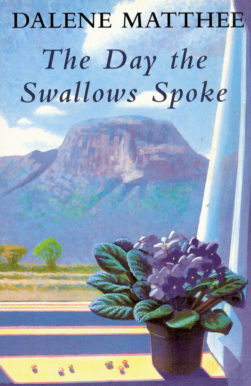 The following books appeared during this time: ‘n Huis vir Nadia, Petronella van Aarde, Burgemeester, Die Judasbok, Kringe in ‘n bos (Circles in a Forest), Fiela se kind (Fiela’s Child), Moerbeibos (The Mulberry Forest), Brug van die esels (The Day the Swallows Spoke) and Susters van Eva. 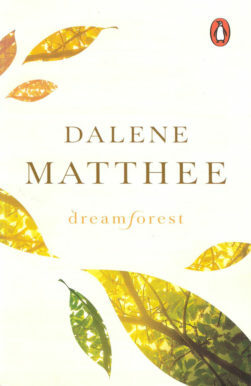 In 2003, Dalene moved to Mossel Bay where she completed her fourth “Forest book” – Toorbos (Dreamforest). She also completed another historical novel, Die Uitgespoeldes (Driftwood ). She completed the English translation of Die Uitgespoeldes (Driftwood ) ten days before she passed away unexpectedly from heart failure.